20 Incredible Inbound Marketing examples you have to read! 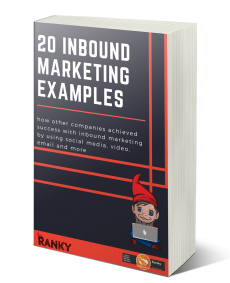 Download this compilation eBook and see how other companies achieved success with inbound marketing by using social media, video, email and more. To help get the inspiration flowing, we’ve collected 32 examples of truly enviable inbound marketing. Whether you want to rethink your blog design, video marketing, or anything in between, these top-notch examples are sure to expand your thinking!